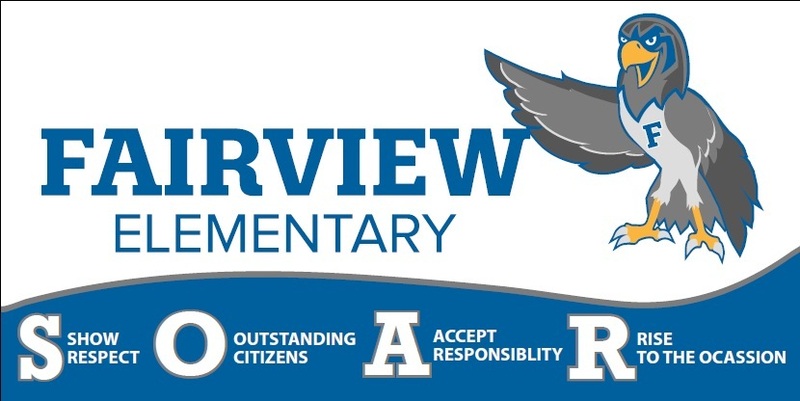 Upon leaving Fairview Elementary, students will be confident, competent leaders and learners who have a hunger for knowledge. Fairview students, teachers, and staff value the unique diversity of our community. We provide a warm welcoming environment where all students feel safe, are able to learn and succeed. We are respectful, caring, and responsible individuals who SOAR toward excellence in all that we do. Each day we prepare our minds to think, our hearts to care, and our hands to serve. As we SOAR, we will Show respect to others, remain outstanding citizens, accept responsibility for our actions, and rise to the occasion to achieve academic success. We are the Fairview Falcons and we SOAR in all that we do!